CRM or Customer Relationship Management is a system designed to enhance the relationship a business or organisation has with it’s customers. The system helps in collecting, organising, and managing information throughout the customer lifecycle, such as quotations, correspondence, invoices and transactions. A well-implemented CRM system can replace manual practices with an efficient, uniform process, thus increasing efficiency and customer experience..
CRM systems give companies the ability to manage the entire customer lifecyle and allow staff in multiple departments to collaborate and manage customer relationships. CRM systems house valuable data, such as quotations, invoices and transactions. A CRM web application allows easy access by staff, including remote sales staff and workers. CRM systems add a layer of accountability to the customer relationship management process. A well-implemented CRM system helps employees across different departments understand their responsibilities to customers throughout the customer lifecycle. Ultimately, CRM result in a better overall customer experience. Customers are more easily and accurately categorised, their requirements identified, and staff can interact with them efficiently, leading to higher sales and better customer retention . We can tailor a CRM system to meet your exact requirements and integrate it seamlessly with your website or install it as a standalone application. 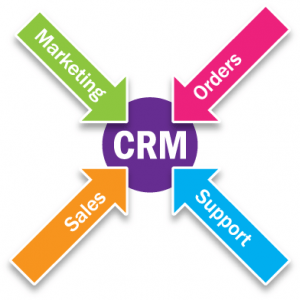 To discuss how a CRM system might help your business or organisation please call 01209 831955.